Americans are a "positive" people - cheerful, optimistic, and upbeat: this is our reputation as well as our self-image. But more than a temperament, being positive, we are told, is the key to success and prosperity. 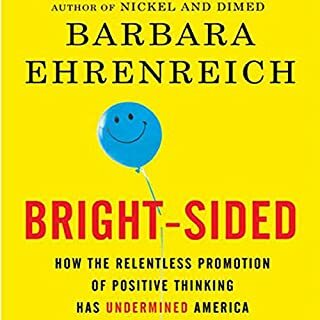 In this utterly original take on the American frame of mind, Barbara Ehrenreich traces the strange career of our sunny outlook from its origins as a marginal 19th-century healing technique to its enshrinement as a dominant, almost mandatory, cultural attitude. Finally an Answer to "The Secret"
In her thought-provoking voice, Tirado discusses how she went from lower-middle class, to sometimes middle class, to poor and everything in between, and in doing so reveals why "poor people don't always behave the way middle-class America thinks they should." She's lived it, and she gets it. After she packed up her British worldview (that most things were basically rubbish) and moved to America, journalist and documentary filmmaker Ruth Whippman found herself increasingly perplexed by the American obsession with one topic above all others: happiness. The subject came up everywhere: at the playground swings, at the meat counter in the supermarket, and even - legs in stirrups - at the gynecologist. 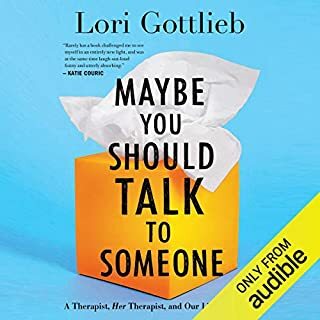 The omnipresence of these happiness conversations (trading tips, humble-bragging successes, offering unsolicited advice) wouldn't let her go, and so Ruth did some digging. What she found was a paradox: despite the fact that Americans spend more time and money in search of happiness than any other nation on earth, research shows that the United States is one of the least contented, most anxious countries in the developed world. Stoked by a multi-billion dollar "happiness industrial complex" intent on selling the promise of bliss, America appeared to be driving itself crazy in pursuit of contentment. So Ruth set out on to get to the bottom of this contradiction, embarking on an uproarious pilgrimage to investigate how this national obsession infiltrates all areas of life, from religion to parenting, the workplace to academia. 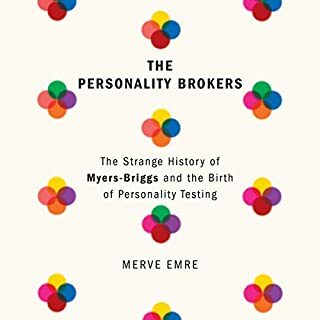 She attends a controversial self-help course that promises total transformation, where she learns all her problems are all her own fault; visits a "happiness city" in the Nevada desert and explores why it has one of the highest suicide rates in America; delves into the darker truths behind the influential academic "positive psychology movement"; and ventures to Utah to spend time with the Mormons, officially America's happiest people. 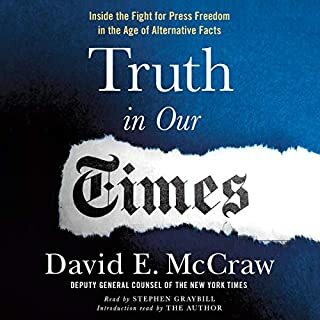 Cover design by James Iacobelli. ©2016 Ruth Whippman (P)2016 Audible, Inc. Note: Closer to a 4.5 than 5. Particularly appreciated is the critical observation of the business behind not just the broader happiness movement, but even the academic research (via grants from the politically motivated Templeton Foundation). In case you understand that each coin has 2 sides, and based on that you start wondering why the US culture puts such a strong focus on being positive all the time, this book will help you to gain deeper cultural insights. Would you ever listen to anything by Ruth Whippman again? There are many moments actually, I particularly liked the way she weaves in Facebook and the Mormon church. I admit that I may have been more receptive to the book's storyline because of my European background. It's been a long time since I've enjoyed a book so much. Sometimes, it takes the insights of an objective observer to shake us from old habits. From now on, I'll be living more and harassing myself over my own inadequacies less. If you could sum up America the Anxious in three words, what would they be? 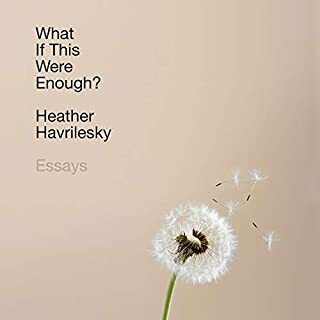 What other book might you compare America the Anxious to, and why? 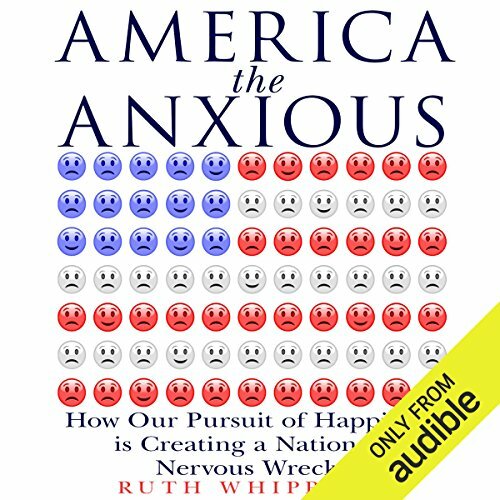 I listened to the Audible audio edition of 'America the Anxious' - known under the title ‘The Pursuit of Happiness: Why are we driving ourselves crazy and how can we stop?’ in the UK - and read by Ruth the author herself. First, Ruth was an absolute delight to listen to, with a warm delivery and wry, witty sense of humour which had me smiling much of the time – so have a listen if you get the chance, not least as I believe you’ll get a greater sense of connection and engagement with Ruth when you hear her speak to you. Though I’m sure reading her words will be pretty good too, and audio doesn’t suit everyone. 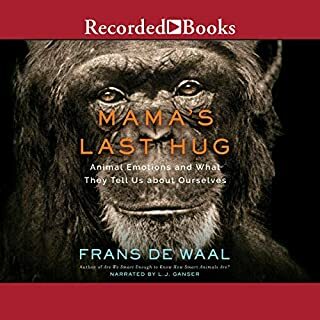 I think the book is absolutely brilliant; extremely well-written. For someone not trained in science Ruth does a wonderful job of writing about it! She is especially good at picking dodgy research to pieces, and explaining why it’s so dodgy. Someone after my own heart.I am a trained scientist myself and I am a great 'fan' of the ideas and benign motivations of the genuine advocates of 'Positive Psychology' and the science of 'Happiness' - who wouldn't be. I have, in fact, myself had formal academic and certified training in many of the practical theories and potential applications, especially via Cognitive-Behavioural Coaching & Mentoring, which I practice. However, as it appears to be the case with Ruth, I have been somewhat troubled by a deep and growing sense of 'un-ease' inside that much of what the ‘Positive Psychology’ and ‘Happiness’ movements say and claim seems too ‘simplistic’, ‘reductionist’, ‘inconsistent with observation’, 'flawed' or otherwise 'wrong' somehow, even counter-intuitive at times, not least based on my own personal experience. A feeling sadly often verified by many of the poor-standard and clear bias of scientific studies and programmes I have taken the time to delve into in the last few years and the 'questionable' broadly generalised conclusions reached on such poor data. For instance – as Ruth discusses here and there in her book - there is a very worrying trend of effectively and implicitly ‘blaming’ an individual for their own unhappiness, due mainly to the way they think, feel and behave towards their external circumstances, as if the circumstances themselves are of little or even no concern, and by someone else might be perceived as just fine. This is an outright corruption of the more healthier view found in Cognitive Behavioural Therapy, and so is just clearly too simplistic and, in my opinion, a potentially dangerously demoralising attitude to take by the vulnerable and desperate. One could be forgiven for interpreting such a stance as an effective 'scientific' version or endorsement of the ludicrous ‘Law of Attraction’ nonsense put about by such books as ‘The Secret’ – itself a dangerous book for similar reasons, in my view. Sh*t can easily happen to us totally out of our control – and sometimes it REALLY hurts us, and so makes us feel REALLY unhappy because of what happened itself, and not just because of the way we think and feel about it. Ruth’s beautifully insightful book does a wonderful job of describing a range of such worrying issues with a number of claims of ‘Positive Psychology’ and the ‘Happiness’ movement generally, with a good-sized representative sample of research and programmes, and so shines a bright light of healthy and positive scepticism into this increasingly murky realm. This is a must read for anybody with an interest in the burgeoning ‘Positive Psychology’ and ‘Happiness’ movement globally – especially open-minded ‘practitioners’ of these disciplines - and will certainly help to inform and modify my own practice. So buy a copy now, or, like me, buy the audio and print/Kindle edition for good measure!After that, you might like to read 'One Nation Under Therapy' by Sally Satel and Christina Hoff Somers - another sobering read about a corrupt industry. [[ASIN:0312304447 One Nation Under Therapy: How the Helping Culture Is Eroding Self-Reliance]] Enjoy!